Ms. Bainor is the Coordinator of Speech Services for the Eden II/ Genesis Programs and The Genesis Outreach Autism Center. She received her Master’s Degree in Speech Language Pathology from St. John’s University. 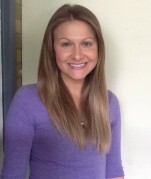 Ms. Bainor is a licensed Speech-Language Pathologist in New York State and a certified teacher of students with speech and language disabilities (TSSLD). She holds the Certificate of Clinical Competence (CCC) from the American Speech-Language and Hearing Association (ASHA). Ms. Bainor is an active participant in the Eden II/Genesis Outreach Department conducting presentations both locally and nationally on speech and language topics related to autism and augmentative/alternative communication systems.